tronc, home to numerous award-winning publications, is looking to hire Page Designers/Editors to join our newly created team called the Design and Production Studio (DPS), headquartered in Chicago. The DPS will handle editorial production of the print newspapers for each of our eight daily metros, as well as suburban newspapers and other print products. Responsibilities for this role will cover a wide range including preparing articles and photos for publication in tronc print newspapers; proofing and typesetting newspaper pages for all tronc newspapers; and editing and designing content to be shared across all tronc newspapers. Successful Print Production Specialists will possess initiative, creativity, good news judgment, attention to detail and a commitment to accuracy. Print Production Specialists also must be able to multitask and perform well under constant deadlines with only moderate supervision. Finally, our Specialists should have strong command of the English language, and editing and design skills that conform to accepted journalistic techniques and the style of the publication. Our eight daily metros include The Baltimore Sun; Chicago Tribune; Newport News, Va.’s Daily Press; Hartford Courant; Allentown, Pa.’s The Morning Call; New York Daily News; Orlando Sentinel; and South Florida’s Sun-Sentinel. Being fast and accurate: Always striving to provide readers with what we know, when we know it. Using stellar news judgment to make decisions about national, foreign and features content for tronc print products. Editing and designing print modules with an eye toward accuracy and readability, checking for grammar, punctuation, clarity and accuracy in high impact elements; proofreading others’ work; and writing headlines and captions appearing in all tronc newspapers. 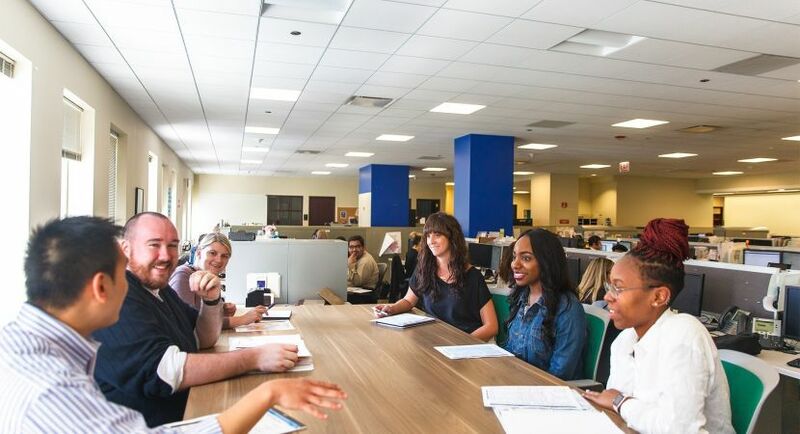 Occasionally working with reporters and editors to shape coverage of content shared across all tronc newspapers and clarify information to be published. Editing content and designing modules using the DPS’s computer production system. Employing dynamic news judgment and ethical guidelines to select and edit a wide range of stories and photos. Editing photos: pulling photos from wires and other sources; cropping and toning photos for publication. Meeting production deadlines and maintaining ideal page flow under minimal to moderate supervision. Employing creativity and independent news judgment to text editing, designing, photo editing, and otherwise preparing work for publication. A minimum of two years editing at a news publication, and a solid understanding of design basics. Design experience a bonus! Excellent knowledge of AP Style. Experience writing strong, accurate print headlines. Awe-inspiring organizational skills and news judgment. Ability to multi-task and perform in a fast-paced deadline-driven environment. Ability to foster excellent communication and collaboration with peers, supervisor(s), department and newsrooms. Solid grasp of the rules of grammar, spelling and punctuation. Ability to write and edit accurately – with clarity, without bias. Strong work ethic and entrepreneurial spirit. Familiarity with computers and text editing software. Willingness to work evenings/weekends and irregular hours.